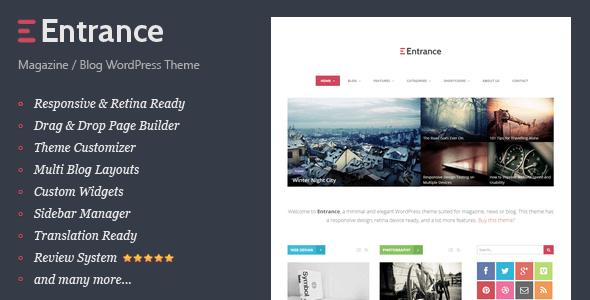 Entrance is fully compatible with WPML, a multilingual plugin for WordPress. WPML makes it easy to build multilingual sites and run them. It’s powerful enough for corporate sites, yet simple for blogs.